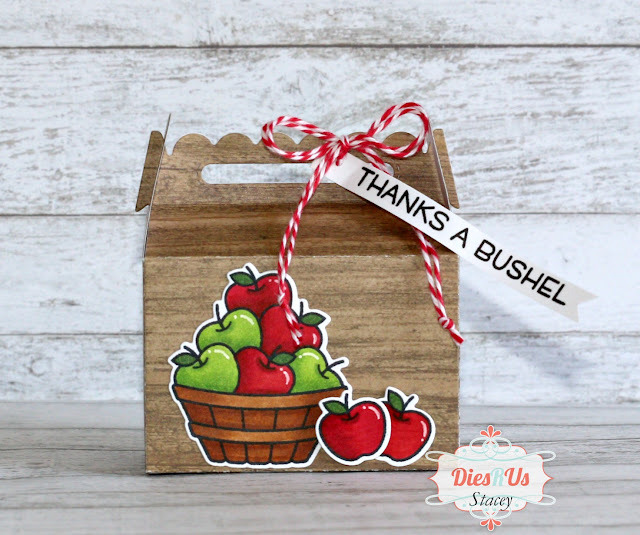 I thought it would be fun to create a little Fall themed thank you gift box. I know it is still Summer, but I'm ready for Fall lol! I started out by stamping and cutting out all my pieces. 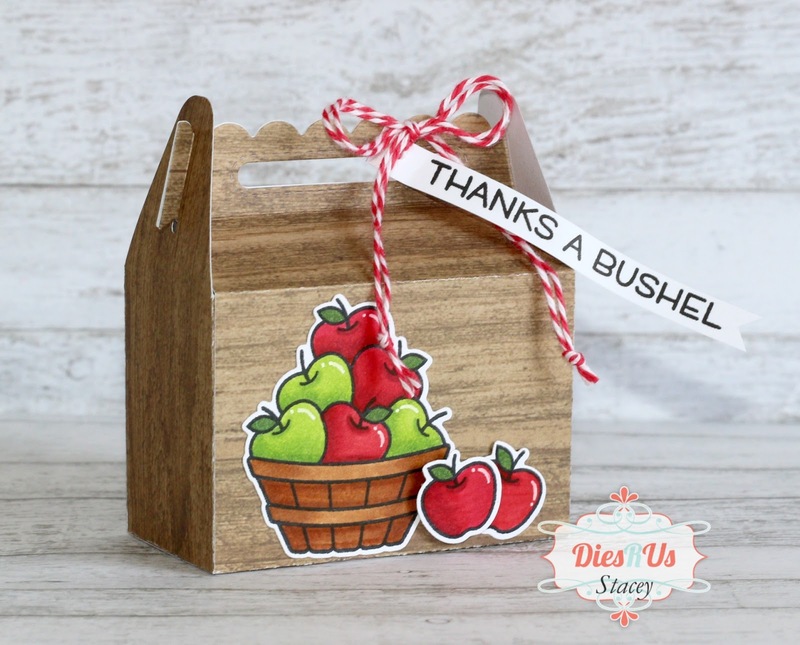 I added my greeting using the Thanks A Bushel stamp set and tied it to my box with some baker's twine. I think it turned out so cute! This is so stinking cute! I love it. Thanks for the creative ideas. I can see many decorative elements on this gift box. 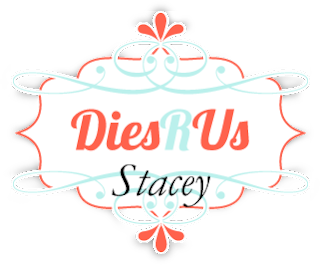 Stacey this is so adorable!! Treat box favors are so fun to make and give. This one is darling! 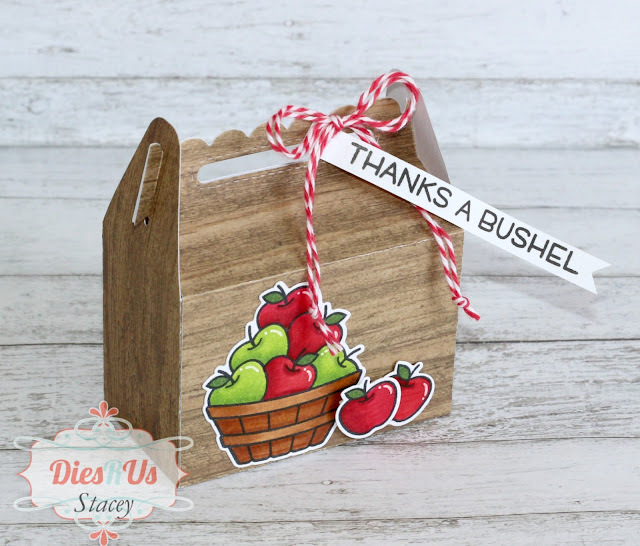 OMG how adorable is this treat box! (going onto my wishlist lol) What awesome inspiration ... thanks so much Stacey! Love it! Going on my list of must have! Oh wow! I love this! 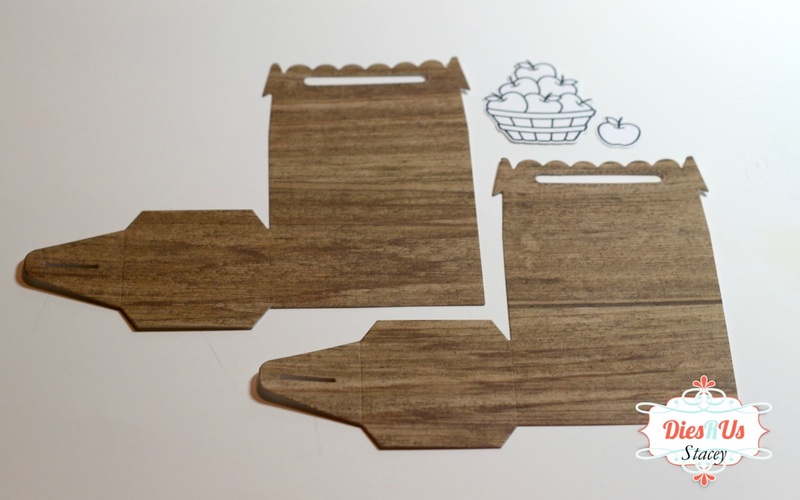 What an amazing die cut. You created such a cute treat box too. This would be awesome for favors! super cute! love that scallop treat box!